What Size Are Trading Cards? There are certain memories that last longer than others. For many, those lasting memories include playing baseball as a kid with friends in the park after school, or on weekends in a youth league. From learning the basics of playing catch to being part of a team that wins the local championship – baseball has maintained popularity with kids for generations. Along with playing the game often comes a history lesson on the sport’s greats. Babe Ruth, Willy Mays, Ted Williams – the list goes on. Father’s often present son’s with their baseball card collection, inspiring a new generation of fans to appreciate the history and interested in the future of the sport. For young players, nothing could be more exciting than seeing their own face on a real baseball card like their new idols. 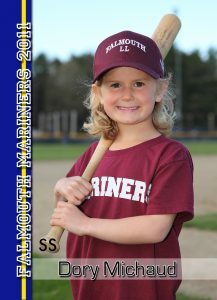 Printing custom baseball trading cards for kids is easy, and will help them become more connected with the game. You can be sure that many kids have been left daydreaming about their future in the big leagues once seeing themselves on professional looking custom baseball cards with their name on it! There is no need to find a template to make your own baseball cards at home – PrintFirm will do all the work for you! don’t provide the full experience that kids get with a professional player’s card. The stats and stories on the back of the card are just as important as the action photo on the front! You can include stats of your child’s height, age, date of birth, or favorite color! If you have stats from last season (or want to make up some of your own), those elements will make this custom baseball card look just like the real thing. The thickness / type of paper that baseball cards are made out of matters too. Simply printing from a template on printer paper at home won’t give the same look or feel that you would get from a professional pack. We use premium cardstock to print custom baseball cards for players and teams that last a lifetime – helping preserve precious memories along the way. Not only will your young player be excited by seeing their playing career put into card form, but they are perfect for sharing with family and friends. You can print a pack’s worth of cards (25) or more to pass out and trade with you child’s biggest fans. Ordering online is easy, and our team can help you create a custom baseball card from scratch today!